More than 3,000 people attended the event. 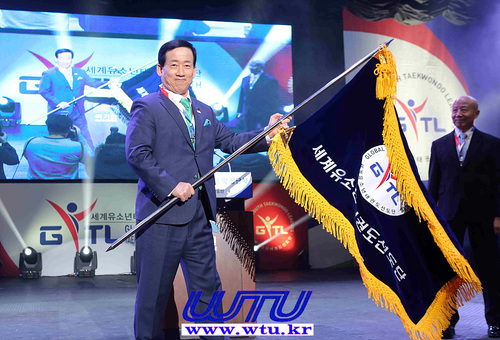 Hwang In-hong, Governor of Muju-Gun said, "I felt a beautiful dream, youth and friendship at the EXPO." 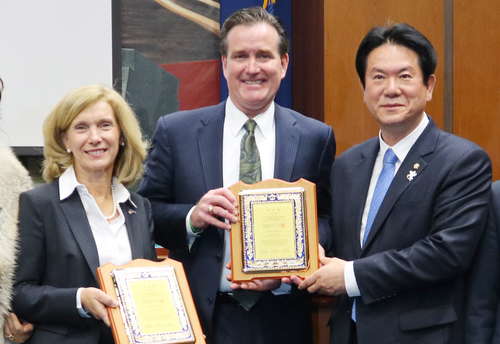 "Thank you to our overseas leaders who are working hard for Takwondo's globalization and thank you volunteers for their dedication and service." 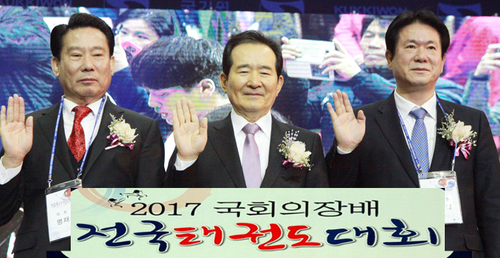 Chairman Dong-yeol Choi said, "Every year when I hold the EXPO, I will be looking forward to seeing you again. I will do my best to prepare for the 13th Expo next year. " 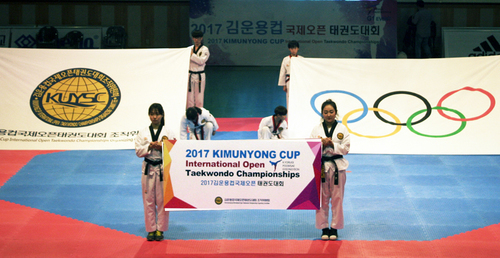 It has been progressed with k-pop and all the participants from all over the world, including overseas athletes enjoyed. It was a place of harmony where we fell in love and shared our hearts. 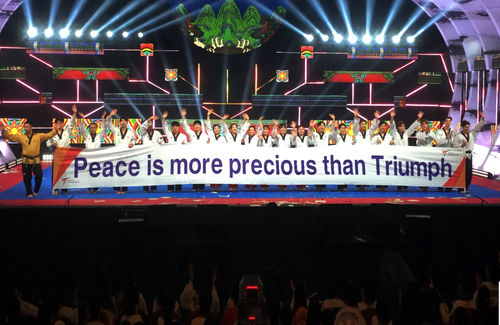 After the closing declaration of Chairman Choi Dong-cheol was held, the overseas participating athletes participated in the farewell dinner prepared with an unfortunate heart. I hope that all the athletes who visited the clean munju will find the munju again. " 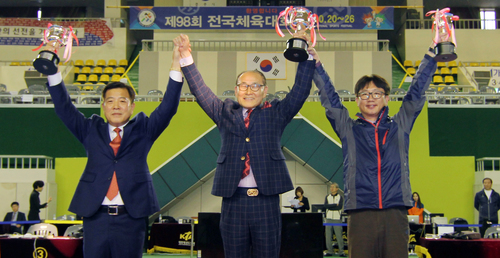 On the 16th, the ceremony was held, participating teams participated in cultural activities in Jeollabuk-do. In the morning, they visited the mulberry wine cave to taste the wine after studying the background and the process. They also have a lot of insects in Bandieland and the clean ecosystem of Muju. After the cultural experience in Muju, participants moved to Jeonju Hanok Village. Participants experienced Korean traditional house, Hanok. They enjoyed the essence of Korean culture in Jeonju city, by wearing hanbok. 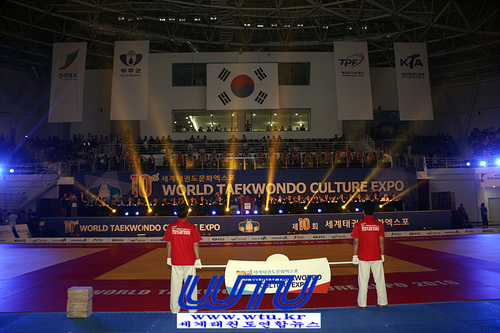 This World Taekwondo Cultural Expo learned Taekwondo seminar and apply the theory to Taekwondo. 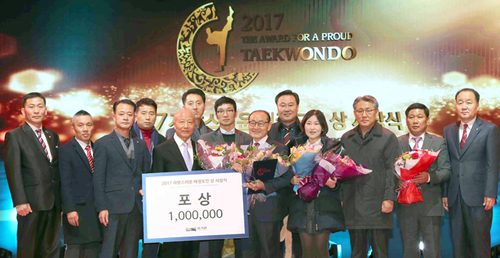 Taekwon dance contest, Taekwon jump rope contest and demonstration contest were conducted to change the perception of Taekwondo which was represented by poomsae and competitions. 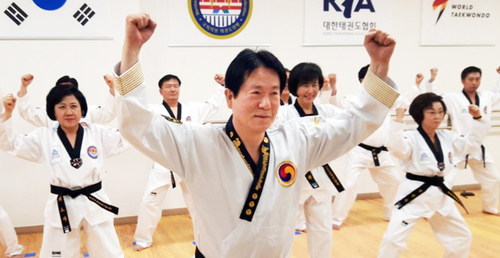 By introducing Taekwondo, which has added performance, it has provided a richer attraction to overseas participants. 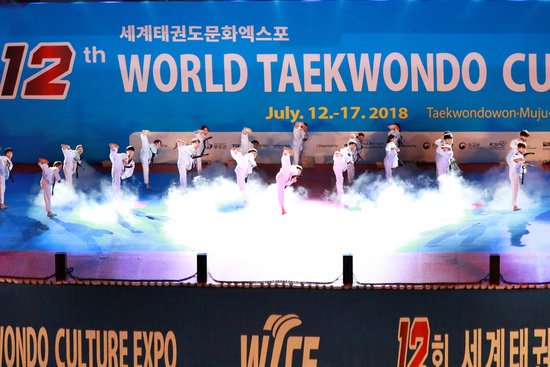 After the closing ceremony, the overseas participating team will depart from Taekwondo Park on the 17th and depart from Incheon International Airport. 제12회 세계태권도문화엑스포(위원장 최동열) 폐회식이 16일 무주 태권도원 T1 경기장에서 열렸다. 이날 폐회식에는 황인홍 무주군수, 이상욱 태권도진흥재단 이사장, 최동열 조직위원장, 유송열 무주군의회 의장, 해외 참가선수단 및 자원봉사자와 일반 관람객 등 3,000여 명이 참석했다. 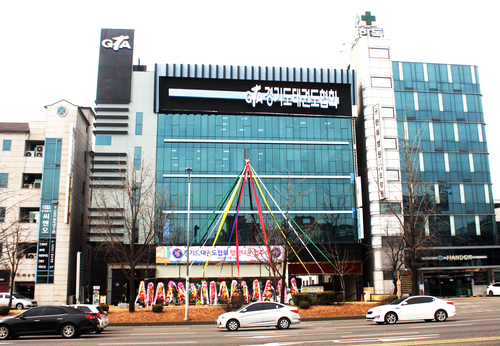 황인홍 무주군수는 “이번 엑스포에서 아름다운 꿈과 젊음, 우정을 느꼈다”라며 “선수단을 비롯해 태권도 세계화를 위해 땀 흘리고 계신 해외지도자께 감사드리며 헌신과 봉사로 행사를 빛내주신 자원봉사자 여러분께도 감사드린다“고 말했다. 최동열 조직위원장은 “매년 엑스포를 개최할 때마다 전 세계 태권도인들이 모두 하나 되는 모습을 보면서 태권도인으로서 자부심과 깊은 감명을 받았다”라며 “내년 제13회 엑스포 준비도 최선을 다할 것이니 여기 계신 여러분들을 다시 만나길 기대한다”라고 밝혔다. 본격적인 폐회식에 앞서, 15일 도약센터 대강당에서 진행됐던 세계태권도문화엑스포 장기자랑대회 대상 팀의 공연과 전북태권도시범단의 힘찬 태권시범이 진행되어 폐막의 아쉬움을 달랬다. 또한, 폐회식에서는 K-pop과 함께 댄스파티와 강강술래가 진행되어 음악과 함께 참가자들 모두가 즐기는 축제의 한마당이 연출됐다. 세계 각지에서 모인 해외 선수단을 비롯한 참가자들이 함께 어울리며 서로 마음을 나누는 화합의 장이었다. 최동열 조직위원장의 폐회선언이 이뤄진 후, 해외 참가선수단은 아쉬운 마음을 담아 마련한 환송 만찬에 참여하여 무주에서의 마지막 만찬을 즐겼다. 이상욱 태권도진흥재단 이사장은 “언어와 문화는 다르지만, 태권도원에서 태권도로 하나가 되는 모습을 보며 무한한 자부심과 감명을 받았다. 내년에 또 만나길 바란다”라며 건배 제의를 하였다. 곧이어 유송열 무주군의회 의장은 “태권도의 성지 청정 무주에 방문하신 선수단 모두 무주를 다시 찾아주길 바란다”라며 아쉬운 마음을 담아 건배 제의를 하였다. 폐회식이 열리는 16일에는 국내외 참가선수단은 전라북도 문화체험에 참여했다. 오전에는 먼저 머루와인동굴에 방문하여 와인 생산 배경과 과정을 알아보고 시음했으며, 반디랜드에서는 희귀곤충을 관찰하고 무주의 청정 생태계를 알아보는 시간을 가졌다. 무주에서 문화체험을 마친 참가자들은 전주한옥마을로 이동했다. 참가자들은 한국 전통 가옥인 한옥을 체험하고 한옥마을 곳곳에 있는 한복체험을 통해 직접 한복을 입어보며 한국적인 멋이 묻어나는 전주시에서 한국 문화의 진수를 만끽했다. 이번 세계태권도문화엑스포는 태권도세미나를 통해 이론을 배우고 실제로 적용하여 태권도 실력 향상과 동시에 문화공연과 체험까지 더해져 이론과 실기, 문화가 공존하는 다각적 성격의 행사로 평가받았다. 또한, 작년부터 신설되어 큰 호응을 얻은 태권댄스경연대회, 태권줄넘기경연대회와 시범경연대회를 진행하여 품새와 겨루기로 대표되던 태권도에 대한 인식을 전환하였고 다양한 퍼포먼스가 가미된 태권도를 선보임으로써 해외 참가자들에게 이전보다 풍성한 볼거리를 제공했다. 화려한 막을 내린 폐회식을 끝으로 해외 참가선수단은 17일 태권도원에서 퇴촌하여 인천공항을 통해 출국할 예정이다.